Keith White. Photo Credit: Jersey Boys. 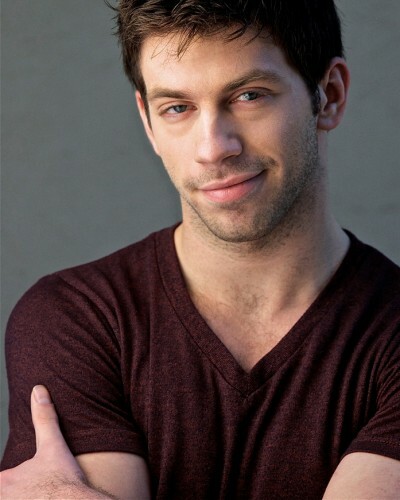 ATLRetro caught up with Augusta, Georgia native Keith White, who has been performing in the ensemble for the past 13 months, to find out about what it’s like to tour with one of the longest running Broadway shows and why even though there’s been a movie, nothing beats seeing it live on stage. ATLRetro: Did you grow up with a love for musical theater and/or retro rock n roll? What was your favorite retro band as a kid? Keith: Both. I grew up with a love for imitating things. In fourth grade, I acted in my first play, and I kind of didn’t really stop. The retro rock ‘n’ roll thing happened in middle school when my dad gave me my first Led Zeppelin album. It was Led Zeppelin and Jimi Hendrix and setting up a band in the garage with my friend. I played drums and he played guitar. We were all about that classic rock. What parts do you play, and what roles did those characters play in the story of The Four Seasons? I’m in the ensemble so I play multiple parts including recording artist Billy Dixon. I sing one of his songs, “Trance.” I also play some gangsters. One’s named Donnie, and he ‘s trying to swindle some money out of a young Frankie Valli, which really happened. These are real people. I also play a bouncer at a nightclub named Knuckles, who was a real person, too. And I play a music agent at 1619 Broadway, the Brill Building, which was the center of the music world in the 1960s. Songs like “Come Fly With Me” were recorded there, and a lot of Paul Simon and Carole King was recorded there. I’m also the understudy for Nick Massi, the bass player in the Four Seasons and Gyp DeCarlo, the organized crime/mob boss guy. What’s your favorite scene that you perform in? I really enjoy doing Billy Dixon because I get to sing. If you get to see the show, it’s funny because Billy Dixon gets to sing for only about 10 seconds, but I get to sing and do some really wild stuff in that time. 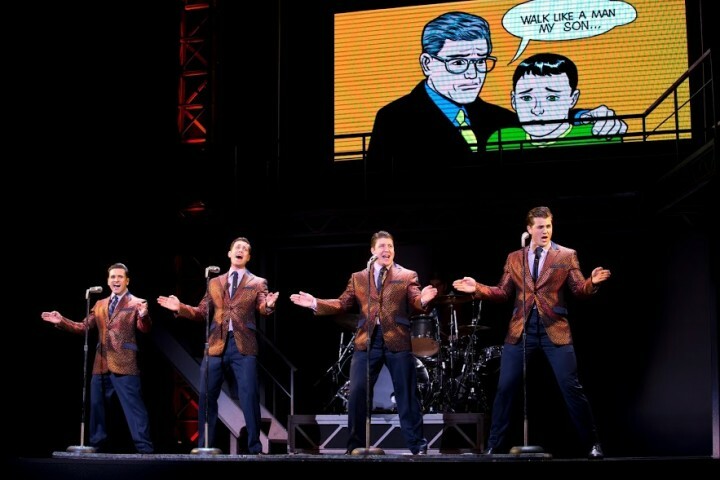 Any story about why you especially wanted to be part of JERSEY BOYS and/or your audition? I saw JERSEY BOYS in 2007 when I was 16 or 17, and it was so good. I truly loved it. I went to the Boston Conservatory to train for theater, and I knew that JERSEY BOYS was still playing – it’s now one of longest running shows in Broadway history. I never thought I would I be in it until I went in for an audition. I didn’t know if I’d cut it. I went through four callbacks. To me, this is huge! The big gig. It was what I was working towards since I was a kid—a national tour of a Broadway musical. How do the touring performances compare to the Broadway company? The only difference is that the set has been made travelable so it’s a little condensed. Instead of three LED screens, we have one, but it tells the same story. Whereas on some other tours, you’ll just get a backdrop, you get all the spectacle that is JERSEY BOYS still when you see the tour. Did you do anything special to prepare? “Walk Like A Man.” Photo credit: Jersey Boys. Did the Four Seasons have to come from New Jersey? What’s your take after working on the show? Did they have to come from Jersey? I think maybe they did. That was their destiny. I think that also was their appeal to the masses. They’re blue collar guys. The people are hard there in the best way. There’s a toughness. And being so close to New York, they knew about the hustle of NY. It’s authentic Jersey no doubt. The writers asked Frankie Valli and Bob Gaudio a lot of questions. Yeah, maybe they did have to be from Jersey. They are the Jersey Boys. Do you have anything special planned to do while you’re here in Georgia? Will you be visiting any old haunts? It feels very cool to be back in Georgia but as a kid, I only went to Atlanta to go to the airport, and I went on a fieldtrip there once and I saw [The Center for Puppetry Arts] with its Jim Henson exhibit. I’m actually going to Augusta later in the tour, and that’ll be a little surreal. I grew up there until I was 10 and all of my extended family is there—my mom and dad’s side. My family will get to see what I’ve been doing. As an Augusta native, what might ATLRetro readers enjoy doing if they? Augusta is where James Brown was born and raised, so that history runs rampant. There are statues of him on the Riverwalk downtown. The Soul Bar also is dedicated to James Brown. There’s obviously also the golf culture with the Masters. So you can feel all that. They’re very proud of their golf there. Is there anything else that you’d like to tell people about JERSEY BOYS? The show does a great job of making it feel like you’re watching one of those East Coast mob movies set in the 1950s. It captures that really well. It still holds up. It’s special. All photos are provided by Broadway Atlanta and used with permission.